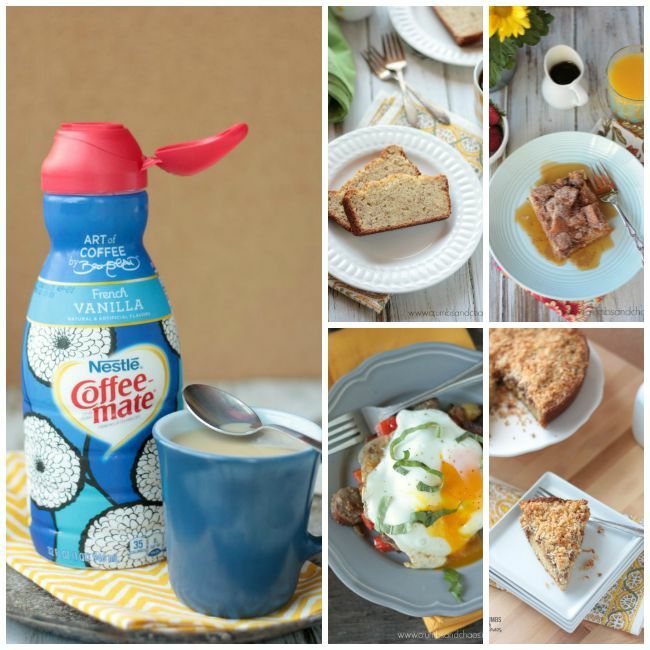 When you start your day with Coffee-mate, you’re choosing to make things more delicious from the very start. 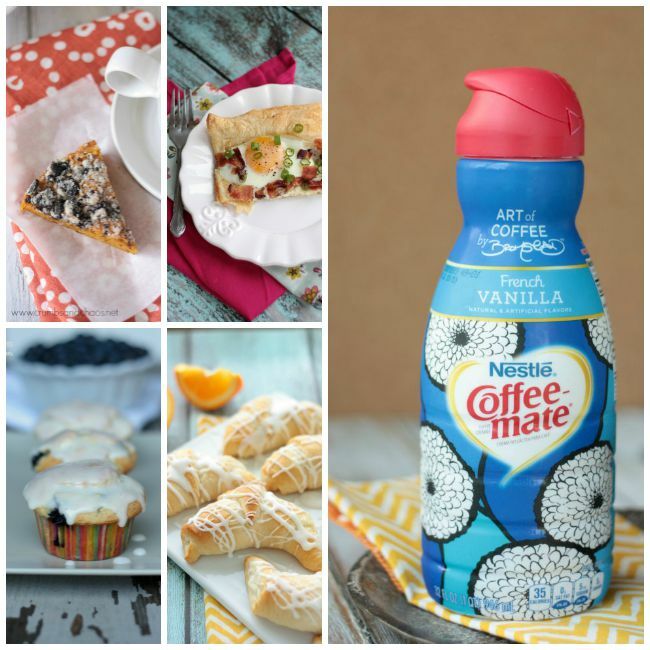 Pick up your limited edition Coffee-mate Coffee Creamer with packaging designed by David Bromstad at Target stores from now thru September 5, 2015. You can choose from French Vanilla or Hazelnut Flavors. Would you like some help with that? Today we’re giving you a chance to win a $200 Target gift card! Use the Rafflecopter below to enter – good luck! This is a sponsored post by NESTLE Coffee-mate. All reviews and opinions expressed in this post are unbiased and based on my personal view. 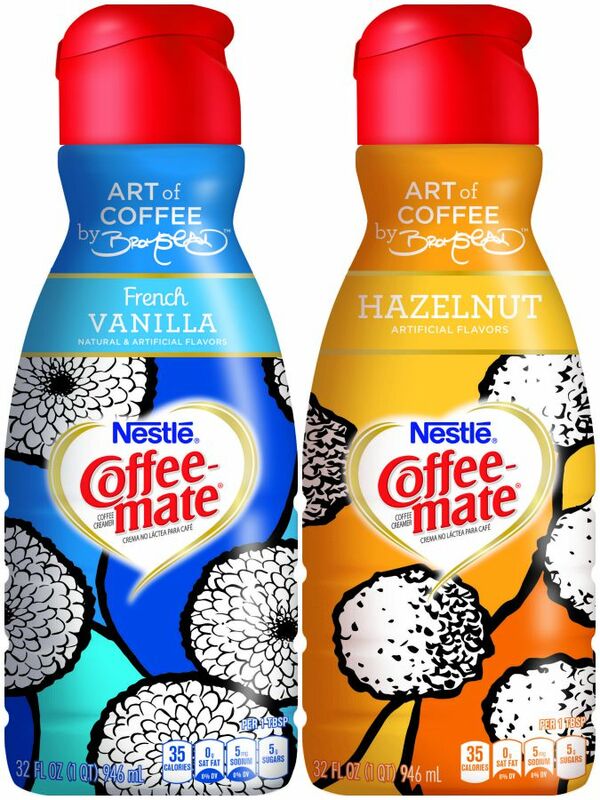 This prize was provided by NESTLE Coffee-mate, but NESTLE Coffee-mate is not an administrator or connected in any other way with this giveaway. The Bullseye Design, Target and Target GiftCard are registered trademarks of Target Brands, Inc. Terms and conditions are applied to gift cards. Target is not a participating partner or sponsor in this giveaway. I go for a walk in the morning to have an inspired start. I love reading a book and drinking my coffee! I practice yoga following by a cup of coffee for an Inspired Start to my morning. I take a nice hot shower and enjoy a hot cup of coffee. I wish I could say I have an inspired start to my mornings, but most days I’m lucky to be fully conscious by the time I hit the office! 🙂 I’m working on it though! I recently moved and have started a new job with quite a commute. I love to listen to my XM Radio Today Show channel while I drive, it starts my morning off good! I’m NOT a morning person, so inspired is not a word I’d use anywhere in describing my mornings. Once I get the dogs around the block, take a shower and get some coffee, I’m ready to start the day! My family takes a walk together every morning to start the day. Coffee – I have the pot ready the night before so all I have to do is hit “start.” A few moments looking at the sunrise, and then listening to the local classical music station. More coffee – and then I’m ready to start the day! I like to get up before everyone and drink my coffee to plan the day or just relax. I simply think of something positive and focus on it all day. Love your blog…..you do an awesome job! I enjoy a nice shower and then a cup of iced coffee on the back patio for some nature. I communicate with distant family; it’s great to hear their voices and know they are doing well. My morning coffee is one of my favorite parts of my day. If it isn’t right it can set the whole day wrong. So my inspired start is definitely good coffee, a walk or yoga on the weekends and writing a bit on my book. I get up before everyone else so I can drink my coffee and read while the house is still quiet. I make sure to have breakfast with my family! We have a nice breakfast and sit and spend time together before our busy day. 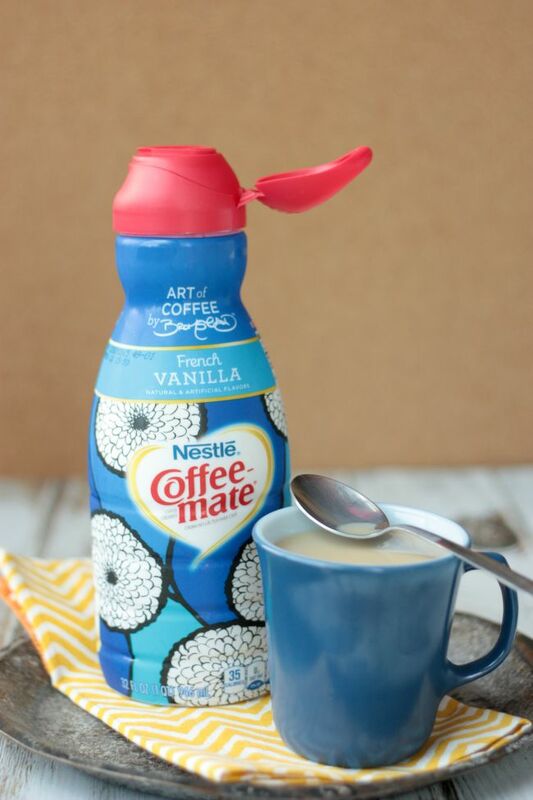 We love drinking coffee with Coffeemate Creamers!! I like your breakfast recipes. I pinned them to Pinterest. I like to have breakfast with my family and enjoy that time together. By having a healthy breakfast and a cup of coffee. I make the coffee as soon as I get up, then drink it while I am reading my daily devotions. That’s the best way to start the day! Oh I always have to start with coffee…then head out to our container garden and check out how everything is growing! This year…we planted a bunch of milkweed…and have been having so much fun watching the monarch caterpillars grow! So far we have had two batches…..the first one I think about 12 left to spin…and this last batch was about 9…..have two that we can see how and are going to try to watch the butterfly come out…so nice and relaxing each morning to see them all! I start with caffeine, a healthy breakfast and some blog reading. It always gets me inspired/motivated for my day! Breakfast! I can’t do anything until I eat.